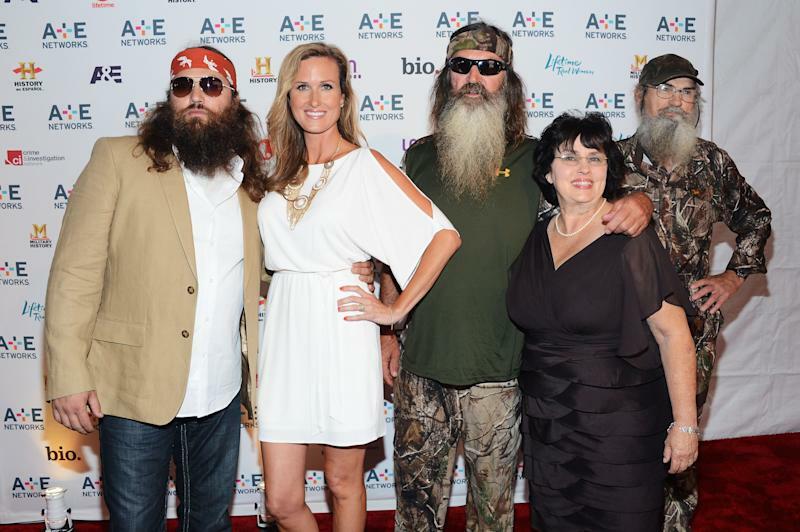 How Did the 'Duck Dynasty' Couples Meet? 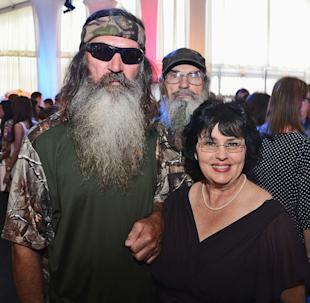 The big, lovable, duck-hunting, sweet tea-swilling family of "Duck Dynasty" is anchored by long-standing, rock-solid marriages. 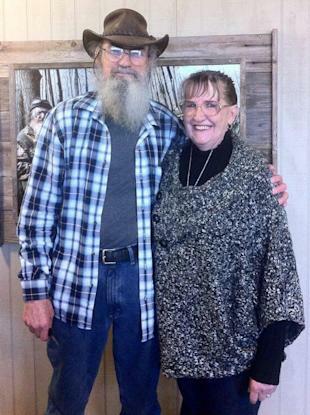 The Robertson couples -- from patriarch and matriarch Phil and Kay on down to their sons and daughters-in-law -- are definitely having and holding, for richer and for poorer (definitely richer, though), in sickness and in health, for as long as they both shall live. The high school sweethearts started dating when Kay was just 14 and got married in 1966 when she was 16. They were practically an old married couple when Phil attended Louisiana Tech on a football scholarship; he even started ahead of the now-legendary Terry Bradshaw and turned down an offer to play in the NFL to concentrate on duck hunting. "He already had a family at that young of an age. I think that hunting, some of it was just providing for us. So I think that changed a bit of his attitude and allowed him to walk away a little bit easier, you know." Phil and Kay's love story hasn't always been happy, though. In the '70s, Phil was "headed south" -- running a bar, drinking, getting into fights. In his autobiography, "The Duck Commander Family," son Willie recounts how Phil kicked out his family in a drunken rage, then begged Kay to come back. "What kept me there? What made me stay with him? It was words my grandmother said: 'One man, one wife, for one life,'" she told Sports Spectrum. Phil turned to religion to change his life, and Kay forgave him. They're still together more than 45 years later! Women everywhere shed a tear last December when Uncle Si, the infinitely quotable war veteran, revealed he was actually married. His wife of 43 years, Christine, is not featured on the show. The inadvertent heartthrob had seemingly been getting so much fan mail that he finally posted a picture of himself with Christine on his Facebook fan page, with the caption: "Everyone's been asking so here ya go...This is me and my wife Christine, we have been married 43 years...Loved her then, Love her still, always have, always will...and you can take that to the bank, JACK!!" On the show, Si talked about his marriage for the first time just weeks ago. His grandnephew John Luke needed advice about breaking up with his girlfriend, and Si proudly declared he'd been married for over four decades. Talk about young love! Willie and Korie met at summer camp when they were in fourth and third grade, respectively. "We were on a hike and I asked her to hold hands," he told AskMen. "We went to different schools -- I was in public and she was in private -- but we'd see each other in the Christian youth group during the year." They married a year after high school, and Willie doesn't regret tying the knot at such a young age. "That way you don't have all the baggage. All our memories are together. Everything we have, we built together." Perhaps their five kids -- three biological, two adopted -- will take his advice. The eldest two, John Luke and Sadie, are high schoolers who are dating. Now married for more than 21 years, Willie credits his wife for the family business's success. "In the early days, it was her encouragement that got me to start thinking about how to expand the business," he said. "Had I not been married to her, I never would have done anything that I've done today." This couple's meet-cute story sounds like it comes straight out of a movie: They met in high school on a fake date to make Jase's ex-girlfriend jealous! Now, they've been married over 20 years and have three kids -- Reed, Cole, and Mia. Jase told Game & Fish magazine that the question the bearded Robertson men get asked most by viewers is how they managed to snag such beautiful wives. "You hear people say 'Oh these women married these guys for their money,' because we're successful now, but what they don't realize is that when they met us, we didn't have any money. We were all poor, and we've all been married for lots of years," Jase explained. "I always think that's comical. We really came from humble beginnings. It's just been the American dream lived out, we do what we love to do, and it just worked out. But you know our wives are with us because of our spiritual qualities, which flies in the face of what most people think." 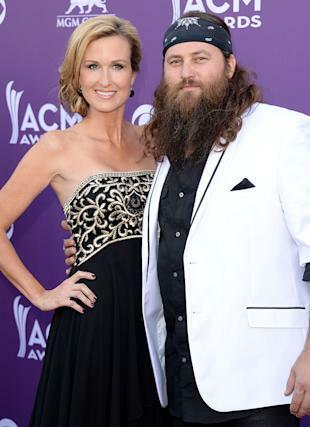 On his Facebook page, Jase said, "I am HAPPILY married" while responding to various fan questions. There's not much info out there about how Jep and Jessica met (though we'll hazard a guess and say high school). They have four kids: Lily, Merritt, Priscilla, and River. 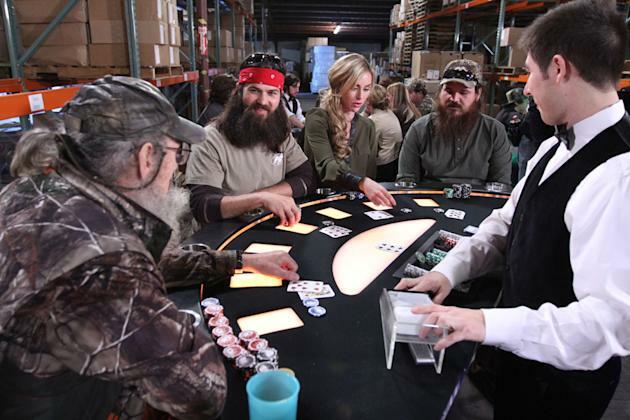 "Duck Dynasty" airs Wednesdays at 10 PM on A&E.